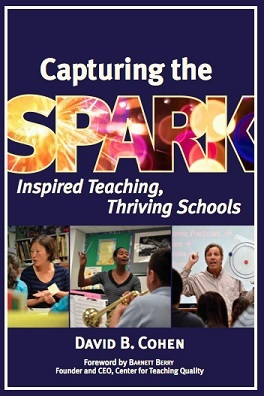 David B. Cohen, a California teacher who I have often written about here over the years, has just authored a great book titled Capturing The Spark: Inspired Teaching, Thriving Schools. He spent a year visiting classrooms (including mine), observing and asking questions. LF: What inspired you to write the book, and how did you go about choosing which teacher’s classrooms to visit? The first time I really took up this idea, merely imagining the possibilities, I was wondering what it would be like to visit the classroom of my friend Renee Moore. We know each other through work with the Center for Teaching Quality and the National Board, and I admire her immensely. Our life stories and our professional experiences couldn’t be much more different, though, once you set aside the teacher leadership interests. I wouldn’t just happen to be passing through Cleveland, Mississippi, so I imagined visiting Renee as part of some kind of project where I could see public education in a wide variety of settings. That initial impulse to visit teachers and schools goes back several years. It took another few years for the project to take shape. I floated the idea to my wife as a “what if, someday…” kind of idea, and she was supportive, so the wheels kept turning. Limiting the scope to California instead of the nation made it more feasible. 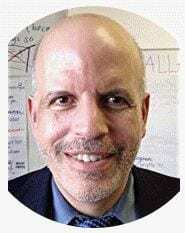 I had a conversation with Samer Rabadi at Edutopia, and I think he was the first person I tested the idea on, outside of close friends and family. It might not have seemed like much to him, but his response pushed me from speculation to action. My inspiration evolved a bit too. At first it was just my own curiosity. I was involved in a variety of projects that were helping me meet and learn about great teachers all over the state. But then, at the same time that I was learning more about the positives in public education, I felt like public discourse around education was increasingly negative. So many people seem willing to generalize from the negatives and compartmentalize the positives. I wanted to flip that around, believing that I could present enough positive examples to sway readers’ attitudes towards public education. Choosing teachers and schools was challenging, because I had too many good options and had to contend with logistical and fiscal constraints. Many were teachers or schools I’d come to know through various leadership and policy projects over the years. I also solicited suggestions through other professional networks, and from some trusted sources on social media. The final decisions reflected my attempt to achieve some diversity in the teachers themselves, the types of schools, and regions of the state. There are some gaps to be sure, but in the end I spent 63 days visiting 70 campuses and saw close to 100 teachers. LF: What, if any, common features did you find among many of the classrooms you visited? The common feature most worth talking about is the caring teacher. There was never a moment of doubt that these educators all cared deeply about the students in the classrooms. Sometimes, caring shows up in the meticulously planned lessons and projects, and sometimes it appears in the form of student-driven learning experiences. Like parents, sometimes caring teachers are warm and effusive, and sometimes they have to take a stern approach to a situation. Other than that caring quality, the commonalities were predictable and less interesting than all the variability. LF: What were some of the biggest challenges you saw facing the teachers you visited and how did they respond to them? Since my visits were limited to a day (or in a few cases, even less), I think I missed what are likely the greatest challenges. I know from experience that there are challenges that come with supporting students whose needs are almost overwhelming and whose progress requires intense and sustained effort. Much of that work is difficult to observe in the space of a day in an elementary school, or a single class period with a secondary school teacher. What I could observe more directly were the challenges of time constraints and student load. We know that compared to most of our international counterparts, American teachers generally spend more of their time working directly with students, with less time for preparation, collaboration, communication and meetings, and evaluating student work. Some teachers respond to those conditions by giving everything they have; teaching is more than a job to them, and we’re lucky some teachers are willing to go so above-and-beyond. Some teachers can sustain that for years, and some can’t. Thinking about the long-term viability of the job, I’d say that teachers who understand the constraints they can’t change in the short-term and respond by setting some personal limits and boundaries are also responding effectively to the challenges of teaching. They won’t necessarily be the most noticed or heralded, but they may end up having many more years in the classroom doing fine work for more students. LF: The school where I teach has encouraged us to visit and observe our colleagues in action. For teachers who can and want to do that, what would you recommend they look for in the classes they observe and/or what are your suggestions for how they can maximize their visits? That’s a good question! One of the points I tried to make in the book, in Chapter One, actually, is that the quality of observations depends on clarity of purpose and suspension of judgment. My purpose was appreciative and celebratory. I told my host teachers up front that I was not visiting to evaluate, and on the few occasions when I was asked for any advice or feedback after seeing a teacher all day long, I always declined. Honestly, sometimes I wouldn’t have been able to formulate that kind of response even with my pages and pages of notes. I simply wasn’t in that mode, wasn’t watching with that kind of lens. I also relate in the book an example of why we need to suspend judgment, describing a time when I watched a second or third grader spend most of his day in the classroom under a desk, sitting on a rug and doing his own thing – reading, coloring, but not participating with his classmates. The teacher seemed to ignore him. I asked about that after the students left for the day, and learned that the student had missed a lot of school (for reasons the teacher couldn’t divulge, of course), and that today’s return to class was a great success, with the teacher approaching the situation using strategies formulated in consultation with the family and others responsible for the child’s care and well-being. Now, in the situation you describe, the purpose of the observation may be different. If I invite a colleague into my class, I might want feedback regarding engagement and collaboration strategies, lesson structure or pacing, formative assessment, differentiation, etc., and so I’d talk to my peer observer ahead of time. I’d hope that the observer would keep to that focus as agreed upon ahead of time, or, formulate any additional observations in the form of non-evaluative questions. Trust is the key, though, in any type of observational arrangement. LF: What’s the most important point you hope that readers take away from your book? 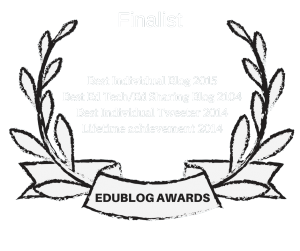 It comes down to two ideas, one for the general public and one for educators and policy makers. For the general reader, when you walk or drive past a public school you don’t know, assume that there are great, caring teachers inside, helping students learn and grow. That’s what I’ve seen, and what I firmly believe. Though, paradoxically, these same outstanding schools and teachers are in dire need of additional support and resources to help students. The price of educators’ often heroic efforts should not be public indifference to the challenges they face. 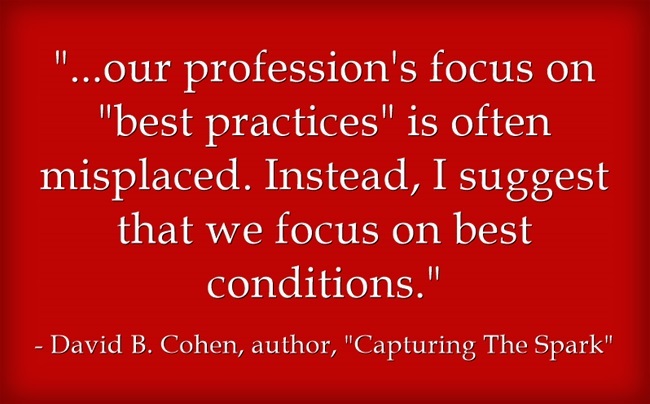 For teachers and anyone concerned with education policy (including instructional and curricular decisions), I would add that our profession’s focus on “best practices” is often misplaced. Instead, I suggest that we focus on best conditions. We shouldn’t be in a rush to adopt the programs that helped other teachers and schools to improve (though we should certainly take note of those examples). The key to sustained improvement is fostering the conditions that allow people and organizations to develop their own strategies and solutions. That work is not done in isolation, nor does it imply a lack of awareness of the options that are out there. If we simply import programs, there are likely to be issues with buy-in and important systemic or contextual differences that haven’t been accounted for. When everyone in an organization has a part to play in identifying needs and crafting solutions, there’s much greater likelihood of success. LF: Is there anything I haven’t asked you that you’d like to share? Much of what’s in the book, and what I’ve shared above, focuses on the “sparks” that help teachers and students thrive at the classroom and school level. It would be a mistake to lose sight of the energy and inspiration we can exchange with colleagues across broader horizons. I would encourage teachers to be active in their union, in professional associations, in virtual networking and social media. 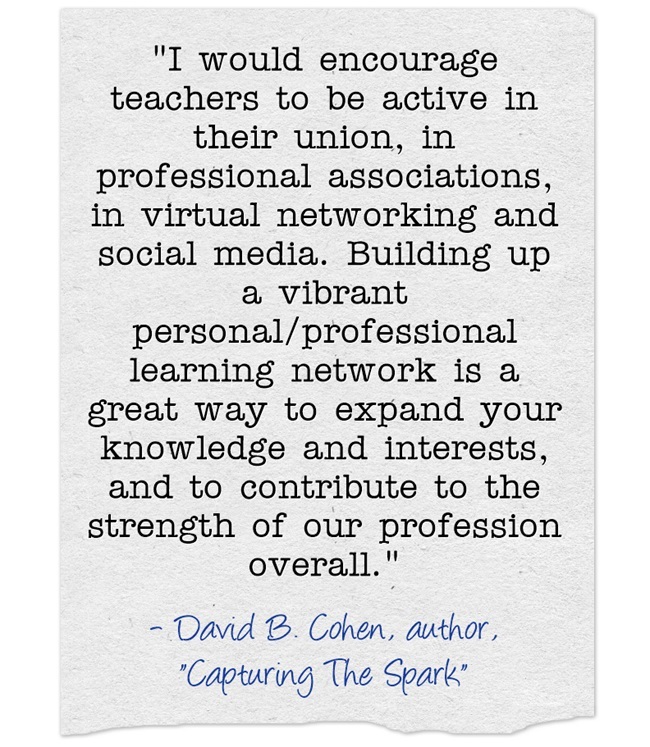 Building up a vibrant personal/professional learning network is a great way to expand your knowledge and interests, and to contribute to the strength of our profession overall.